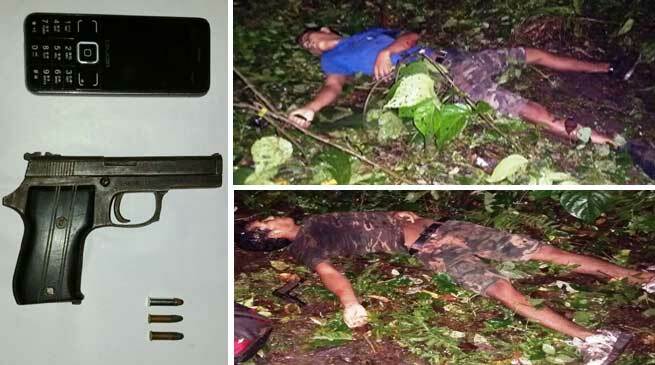 In joint operation of Asam Police and Army at least two NDFB-S Caders have been killed and One linkman was arrested from Lower Assam. This was informed by L R Bisnoi, ADGLP ( Railway ) and IGP, BTAD . According to Mr Bisnoi, Based on a specific input about the movement of NDFB-S cadres, a joint operation led by DySP (HQ) was launched at might on 24.07.16 by Kokrajhar Police, 3 Rajput Army and 210 Cobra in the north of Jharbari – Diglipara area under Kokrajhar PS where two cadres, have been neutralised and two 7.65 mm pistols, a few live rounds, two grenades and a backpack have been recovered. Later the killed cadres identified as Jwngswr@Laudum@Jaydan and Pwngkha. In a another joint operation which was launched by Kokrajhar Police and 3 Rajput Army on being leaded by Dy.SP (Hq), Kokrajhar, apprehended one Sri Puren Narzary resident of Sonapuri village of Kokrajhar. On being interrogated he revealed that he is a linkman of NDFB(S) and is a close associate of cadres like Phunka, Jwngsar@Loudum. From his possession one 0.22mm pistol, three rounds 0.22mm live ammunitions and one mobile handset bearing one Aircel Sim has been recovered. Two 7.65mm Pistols (Factory made). One Toothpaste with one tooth brush. six Blank extortion notes of NDFB(S).